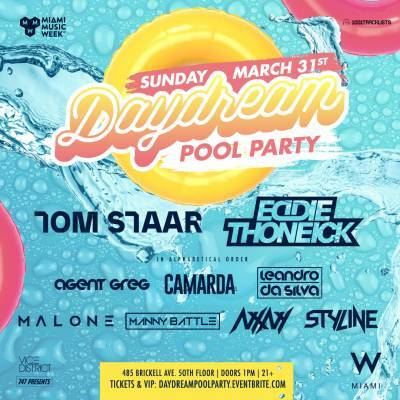 Make a splash at W Miami Daydream pool party! Celebrate Miami Music Week on the rooftop, with artists including Tom Staar, Eddie Thoneick, Agent Greg, CAMARDA, Leandro Da Silva, NXNY and Styline. Prices start at $20, get your tickets here: LINK.